Coats and jackets and sweaters, oh my! Princess Charlene (with Prince Jacques and Prince Albert) attended the 6th Sainte Devote Rugby Tournament over the weekend. Is this a sweater, or a coat? (Why not both?) It's not often you find a garment that is both cozy and comes with built-in accommodation for your space suit control panel, right there on the cuff. I dig it. 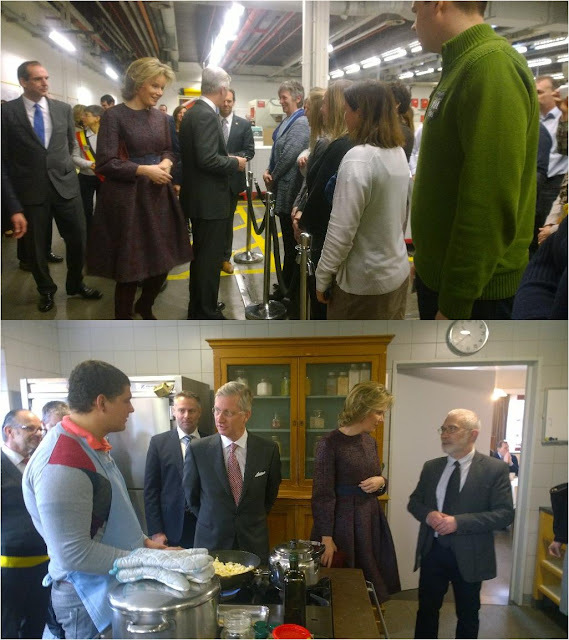 King Philippe and Queen Mathilde visited Antwerp province last week. This one has enough volume to wear your space suit right underneath, so that's handy. Queen Letizia visited a children's hospital last week.